Will the real Matt Rusher please stand up? Before we start – just let our readers know a little about you, family, background where you come from etc. I was born and raised in Camden, South Carolina. I spent most of my child hood playing basketball, baseball and soccer until I discovered Freestyle BMX and skateboarding. Then I saw the world through ‘skateboarders’ eyes where you see obstacles and lines everywhere and my friends and I were on a constant search for ramps, pools and concrete ditches. After living at the coast and learning to surf, I moved to the mountains of South Carolina for school and was introduced to white water kayaking. I eventually finished school and quit my job to live in my truck with some other guys on the Chattooga River. We paddled every day and I was hooked. Kayaking had the similarity of picking lines that I already enjoyed from BMX and skateboarding. I eventually ended up moving ‘out west’ to Montana because I wanted to learn how to snowboard. I spent about four years going back and forth between river guiding in South Carolina for the summers and snowboarding in Montana in the winters. I eventually stayed in Montana for the summer of 1998 and started working for Riot Kayaks as their north west sales rep. I lived my ‘dream job’ and travelled all around the north west United States kayaking and making friends for ten years. After a random couple of years working in the TV/movie industry in Miami, Florida, I am now back in Missoula Montana and working for Glide Paddleboards as their north west sales rep.
Firstly, what kayaks/boards do you own? Riot Magnum, Boogie, Flair, Astro58, Turbo52, Disco, Trickster, Slice, New Wave Jet and a Jackson Rockstar. Glide Retro, Sesh, Mongo, Lochsa, Speedster, Nine Six, Eight Four, Seven Six, Malolo, UFO. Being a rep has its benefits! Where and when was your first WW paddle? I learned to paddle on the Chattooga River in South Carolina/Georgia in the summer of 1991. My first boat was a Perception Mirage. I think it was the personal challenges and learning something new and exciting. I was pretty scared at first and I wanted to overcome those feelings. I had always loved the water and being in it. Kayaking was so completely new and I feel in love with the challenges, the path, the beauty and the people. How did the idea of WW SUP come about? I really had only spent a little amount of time on a SUP before moving to Florida a couple of years ago. I started paddling in the flat water and progressed to the surf. My friend Ken Driscoll had started a SUP company, ‘Glide’, and gave me a couple of their surf specific boards. I spent a lot of time figuring out how to use them in the surf. 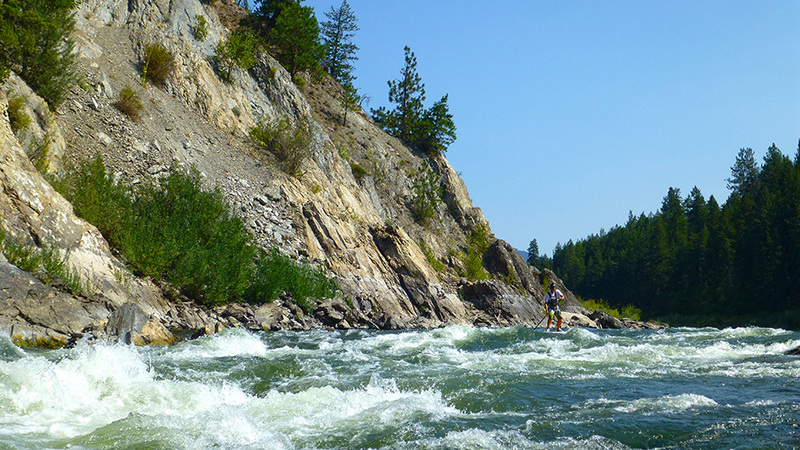 Upon moving back to Montana it was a natural progression to start SUPing the rivers that I have been kayaking for years. I was surprised how much the surfing had helped and the skills transferred to the river. 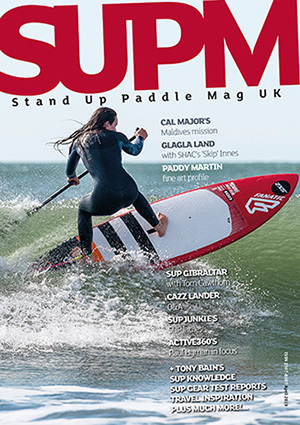 How does WW SUP give you satisfaction? Well it’s a whole new experience on the rivers I have run in my kayak many times. It makes my local run (class 3) super exciting again not to mention all the sweet waves that the Montana and Idaho have to offer. I have not run anything really scary yet. I would just say that it made me nervous because I didn’t know how the board would react to the river currents and what was going to happen with I went through the holes. I think it would be cool to SUP the Grand Canyon for sure. 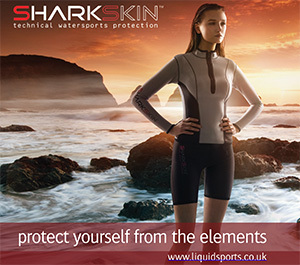 How did you become involved with Glide Boards? My long-time friend Ken Driscoll kept messing around with shaping boards and trying to come up with a way to make them stronger for river use. I would pass through Salt Lake City every once in a while and he was always fiddling around with different ideas on design and a protective coating. I was living in Florida when he got in touch with me and invited me up to the Surf Expo where they were displaying their new line of boards. It was so cool to see that he had succeeded in making some really nice boards and finally figured out his coating system ‘GSS’ making their boards the strongest foam/fibreglass boards on the market. He hooked me up with some boards and I just started paddling them and figuring it all out. We talked a year later and he offered me the opportunity to become their north west US sales rep and I jumped on it. I am really proud of Ken and to be working for Glide and also that our boards are made in right here in the Rocky Mountains of the USA. If you could run any river in the world – which would it be and why? Favourite river you have paddled? It’s hard to pick a favourite. The Chattooga, Green and W Prong of the Little Pigeon back east where I learned to kayak. The Yellowstone, Big Timber and the Alberton Gorge in Montana. Every river I paddled in Norway. The Mekong. The Grand Canyon of the Colorado… all favourites. 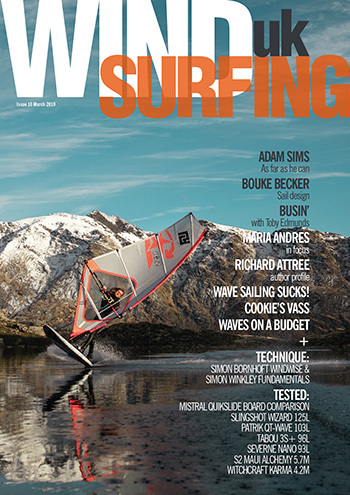 Cards on the table – if it’s between WW kayaking and WW SUP – which would it be? Kayaking… it’s my first love. Anything funny… Maybe ‘Pain and Gain’ mostly because I worked on it. I have been listening to a lot of Matisyahu lately and Pretty Lights station on Pandora. If you won $20 million on the lottery, what would you do with it? Travel and give it away to people that need it (I don’t need that much money). Facebook, I have not Twittered yet… I’m a photo nerd. Normal stuff I guess but I mostly reach for the Brita Filter and maybe the Huckleberry Jelly is unique to Montana. Well she wasn’t a superhero but the way Arwen conjured up the water in Lord of the Rings was pretty awesome. 1 Comment on Will the real Matt Rusher please stand up? I am organising an expedition to SUP the Subensari . A wild river in NE India soon to be dammed . I have Supped other big white water rivers in Nepal already [ Kanarli 10 days ] and Franklin Tasmania . I have some places left on the raft or Supping if any of your readers are interested . it’s a 2 week trip out of Delhi 8th Dec. It will be wild and big white water – lots of swimming .